SAFETY MATTERS: An Online Magazine – MedFlight "Touching Base"
1. Use only UREA or a chemical product that claims no corrosive properties or hazards to the environment, such as the ice-melting agents Sodium Acetate or Potassium Acetate. 2. DO NOT USE ROCK SALT. Rock salt is corrosive to the aircraft. 3. Do not use sand as an anti-skid agent. It will not stay in place, and creates a projectile hazard during rotor wash.
4. Helipad warning/safety signs should be cleared of snow and remain visible. 5. Do not bury perimeter lighting in snow piles. 6. Do not pile snow in front of gates or routes of ingress/egress from the helipad. 7. Snow piles immediately adjacent to the helipad greater than 2 ft high could cause damage to the helicopter tail rotor. 8. Position snow piles so that melting snow and ice will drain from the helipad and not refreeze, creating a fall/slip hazard. 9. Helicopters develop rotor was that typically exceeds 75-100 mph. Dangers include serious wind chill and projectiles created by any loose snow or ice. 10. Whiteout conditions can occur during takeoff and landings. These can affect pedestrian and motor vehicle traffic. THANKS FOR ALL YOU DO TO KEEP OUR FLIGHT CREW AND PATIENTS SAFE! Hunting season is upon us in Ohio, and our friends at Ohio-based G2 Outdoors provided some safe hunting tips for the enthusiast in your family. When gun hunting, the rule should be “Off Target, Off Trigger” to prevent accidental and negligent discharge of the weapon. 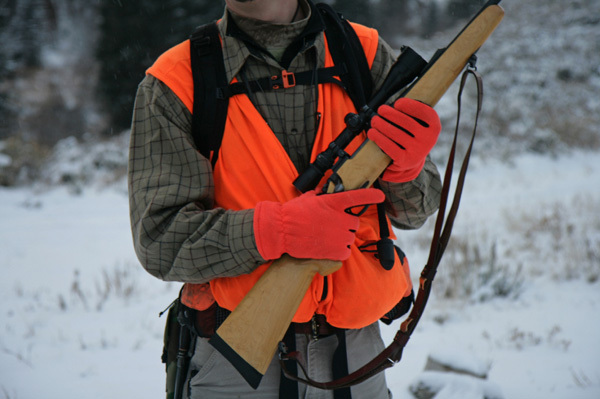 Always point the muzzle at the ground or at a safe direction when carrying a loaded firearm. Inspect all equipment for possible damage or malfunctions. If anything looks ‘out of sort’, don’t use it. This includes firearms, bows, arrows, strings, broadheads, and more. Always, always, always use fall protection when hunting from a tree stand. When using climber stands, always be ‘hooked up from the ground up’. Know your target, and have a clear shooting path to prevent any accidents and shooting anything that is NOT your target. When you have a target in sight, be sure there is nothing PAST the target that could be negatively impacted by a missed shot. Always let someone know where you will be hunting and when you expect to return home. Always carry a cell phone or way to communicate in the event of an emergency.